Chromebooks vs. Laptops: What's the Difference? Let's dispense with a likely question right away: Yes, a Chromebook is by definition a laptop. A laptop is a portable computer meant to be placed almost anywhere, including your lap, but still have the same basic functionality and input devices as a desktop. A Chromebook meets all of the specifications. It is simply a laptop running a different operating system (Chrome OS). So what's the difference between a Chromebook and a Windows-based laptop or a MacBook? Chromebooks usually resemble slim laptops like the MacBook Air and the Dell XPS 13, often with even a smaller display and thinner form factor. For example, the MacBook Air, which helped kickstart the lightweight laptop market, weighs in at 2.9 pounds compared to the popular Samsung 11.6-inch Chromebook's 2.54 pounds. There are some exceptions like the Acer Chromebook 15, which sports a 15.6-inch screen and still retains that small price tag. Result: Chromebook. This is a somewhat personal preference as Chromebooks with larger screens will have a similar size to other laptops with that screen size, but Chromebooks come in a wide variety of smaller sizes. Speaking of price tags, the primary reason why Chromebooks have become so popular has more to do with the lack of weight it will take away from your wallet as opposed to the weight it will put on your lap. This is especially true for schools and companies that are buying in bulk, but certainly a major factor for anyone buying a new laptop. Make no mistake: you can buy an expensive Chromebook. 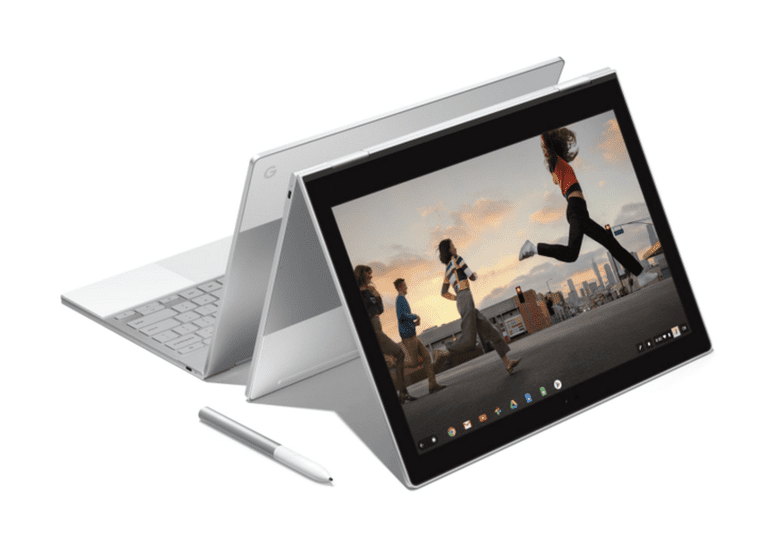 Google's Pixelbook is a high-powered Chromebook with a high-powered price tag of around $1000. But most Chromebooks run in the $200-$350 range. Windows-based laptops have much more variety in price tags. The cheapest will compete with a Chromebook, while the most expensive will make the Pixelbook look cheap in comparison. And on Apple's side of the universe, the cheapest MacBook is as expensive as that Pixelbook. Result: Tie. The low-end price tag on a Chromebook and on a low-performance laptop is very similar. So if you can buy a Windows-based laptop for as cheap as a Chromebook, why buy a Chromebook? The magic in a Chromebook resides in the Chrome OS that powers it. Windows is designed for the enterprise, not low-end laptops. Simply put, it doesn't scale down very well. It requires more hard drive space, more memory and takes up more CPU time, which is time it could be using following your commands rather than its own. Chrome OS is built around the Chrome web browser and brings us full-circle back to the days of terminals and mainframes. While those 'dumb' terminals were completely dependent on the mainframe, they had one major advantage: they didn't need to perform well. The heavy lifting was done by the mainframe. This is the same model that makes the Chromebook so popular. The Internet does the heavy lifting, allowing a $250 Chromebook to perform as well as a much more expensive laptop. Result: Both. A Chromebook easily wins the performance medal when it comes to low-cost laptops, but if you are willing to drop the cash, a laptop can run circles around it. This is a category where you get what you pay for in terms of both screen size and clarity. Chromebooks are known for smaller displays usually around 10.5 to 12 inches measured diagonally, although you can buy a Chromebook with up to a 15-inch display. Laptops are usually in the 12 to 15-inch range, with some high-end laptops sporting 17-inch displays. But screen size isn't the only factor when it comes to the display. Screen resolution will determine just how sharp the images will look on the laptop, and this is where many of those mid-range and high-performing laptops pull away from the pack. Those 10.5 and 12-inch Chromebooks will usually sport a lower screen resolution than a laptop. The gotcha here is that those really cheap same-price-as-a-Chromebook laptops are going to have a similar screen as that Chromebook. You get what you pay for. Result: Laptop. You'll have to move to a higher end Chromebook to approach what a laptop is capable of in terms of display size and clarity. You often won't get much in terms of storage when you buy a Chromebook. The good news is that you won't need as much. Chromebooks are designed to be powered by the web, and this includes leveraging cloud-based storage and streaming websites like Pandora, Spotify, Hulu and Netflix to reduce the need for extra gigabytes of storage for your laptop. The average Chromebook comes with 32 GB of storage, although higher-end models can expand this to 64 GB or 128 GB. The storage capacity of a Windows-based laptop tends to start at 64 GB and work up from there, but this may be a bit misleading. Windows 10 requires about 20 GB of storage all on its own compared to the 4-5 GB that will be eaten up by Chrome OS. The software for Windows will also take up more space than the average app for Chrome OS. Simply put, Windows needs more storage than Chrome OS. Result: Laptop. The advantage of the Chromebook is that it doesn't need as much storage, but with Chromebooks supporting Android apps in the near future, you may want more storage. The biggest and best feature of the Windows operating system is the software. You buy Windows not because of what it is but what it can do. Windows has more software support, and more importantly, more complicated software that works on its platform. It offers a full-fledged version of Microsoft Office, gaming that rivals consoles and a host of other software for running a music studio to drafting architectural plans to designing 3D animations. Chromebooks are getting a big shot in the arm in the near future when the Google Play Store and Android apps come to Chrome OS, but until then, it is relying on the apps built for the Chrome browser and web apps. The good news is that many of us can rely strictly on these for our computing needs. Result: Laptop. The question here is do you actually need the software that won't run on Chrome OS? The average laptop tends to have a longer battery life than a Chromebook, although the newest Chromebooks are catching up in this category. However, while laptops may brag about 10-12 hours of battery life, the actual results may vary. The battery in a laptop isn't used up at a specific rate. It depends on how much power the laptop is using, and this depends on how hard the CPU and the graphics chip (GPU) are working. While a laptop may brag about 12 hours of battery life, you won't get 12 hours of playing Call of Duty at the highest settings. Chromebooks are designed to shift the heavy lifting to the web, which makes their 8-10 hours of battery life a bit more predictable. Result: Depends. Heavy performing software will bleed a laptop's battery dry, but under the same conditions, a laptop will tend to last longer. Chromebooks are perfect for people who primarily need to surf the web, browse Facebook, catch up on e-mail, stream music and movies, create documents in Google Docs, balance your checkbook in Microsoft Excel online and many other tasks. They also tend to perform better than similarly priced laptops. Windows-based laptops and MacBooks are for people who need to leave the browser for dedicated apps and are willing to pay the price to do so. Cheaper laptops in the Chromebook range tend to be too frustratingly slow to be worth it, and a decent laptop will easily double or triple the price of a Chromebook. But if you need specific software or higher-end performance, traditional laptops are worth the extra price.